'Castle Rock': Who Is In The Cast? The Stephen King multiverse is brought to life in Hulu's terrifying new TV show 'Castle Rock' but who is in the cast and which characters do they play? Henry is a criminal law attorney specialising in capital punishment cases. He left Castle Rock after the townspeople suspected his involvement in his adoptive father's death, but returns upon receiving a strange request. The Kid is a mysterious inmate of Shawkshank prison, who is discovered and released from a water tank located beneath an abandoned cell block in the prison. After being released, he specifically asks for Henry although Henry doesn't know who he is. Molly is the owner of a real-estate business in Castle Rock who has the ability to read minds and feel the same emotions others are experiencing. Cassady McClincy plays the younger version of Molly in the show. Jackie is a young woman who possesses vast knowledge of Castle Rock's history. It's not yet been confirmed that her character is of relation to the Torrance family in King's 'The Shining' but Levy has teased that she might be. “Yes, Jackie does have a close relation with a famous King character,” Levy cryptically revealed to Den of Geek but didn't elaborate any further. Cusack plays T. Porter, the new warden of Shawshank and the successor of the last Dale Lacy. Dean is the teenage drug dealer who supplies Molly with medication. Reeves is Warden Porter's deputy at Shawshank prison. Dennis Zalewski is the prison guard at Shawshank who discovers "The Kid" in the underground cell and anonymously calls Henry after hearing "The Kid" say his name. 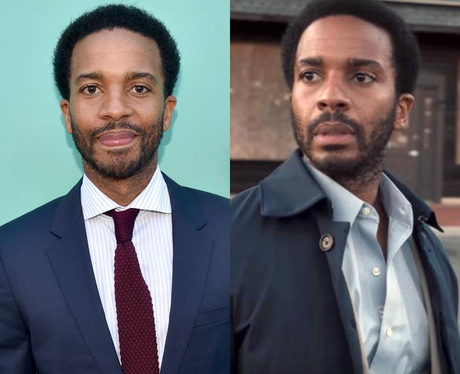 Alan Pangbord is the retired former Sheriff of Castle Rock who moves in with Ruth Deaver (Sissy Spacek) unbeknownst to her son Henry (Andre Holland). Ruth is Henry's estranged adoptive mother and a lifelong Castle Rock resident whose struggle with dementia leads her to spill secrets about the town's dark past. Dale Lacy is the former warden of Shawshank prison, who commits suicide by driving off a cliff and decapitating himself inthe first episode, shortly before "The Kid" is discovered.